Guayaquil Ecuador is the largest city in the country, with close to three million people living in and around its central hub. Now...I know...I've been writing this website for years now, so why haven't I written about Guayaquil sooner? Truthfully, because I haven't been that big of a fan of it in the past. My perception (along with that of many other people's perception) is changing. Formerly known more for its crime rate than as a tourist attraction, Guayaquil has gone through a transformation over the last decade or more. Starting with its famous boardwalk, the Malecon 2000, the city has worked hard to revamp its image. 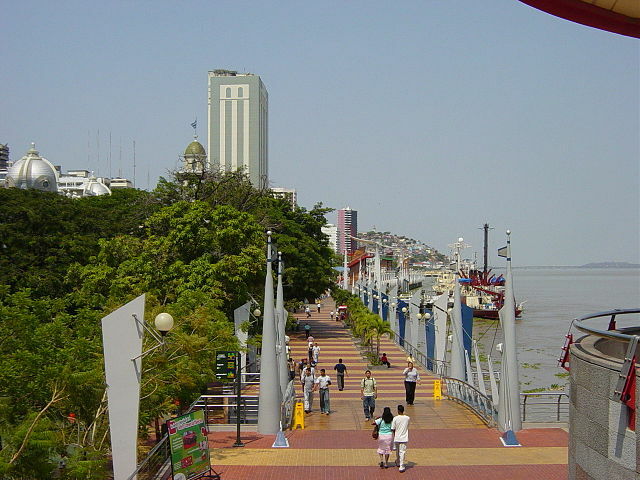 Guayaquil's most famous tourist attraction is this mile and a half boardwalk, which was renovated and completed just before the Y2K was rung in (thus its name). The area was a popular meeting place long before this renovation, but due to disrepair the Malecon was considered a dangerous part of town. But not anymore! Since it's renovation millions of people have visited the Malecon 2000 making it the most visited spot in Guayaquil. A heavy police presence has reduced crime. What you can see? The Malecon is more than just a nice walk. 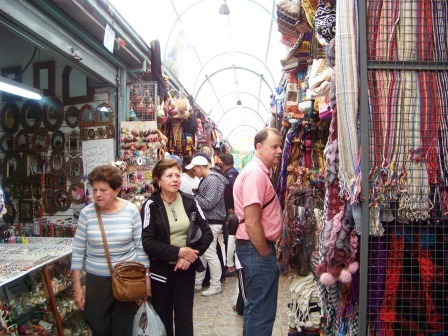 It also has shops, gardens, restaurants and cultural experiences. You can also take guided boat tours of the Guayas River from the docks next to the Malecon. 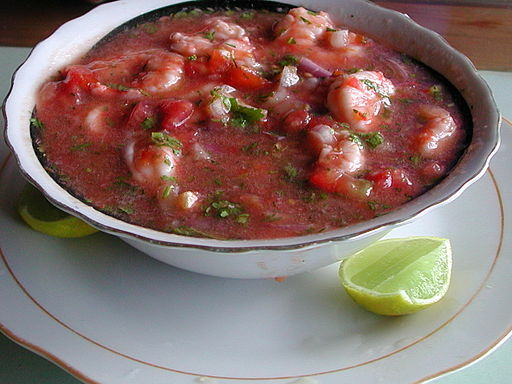 As with other places near the coast, Guayaquil Ecuador is a great place for seafood. Plus the nearby banana and plantain plantations influence the food. Two of Ecuador's favorite soccer teams are from Guayaquil. 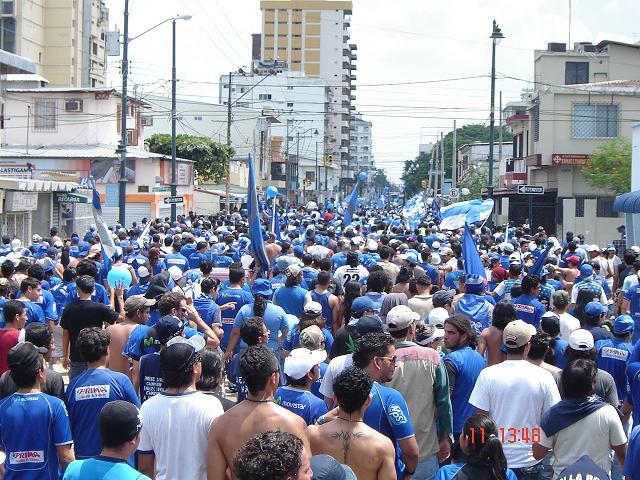 A win from either Emelec or Barcelona (not to be confused with FC Barcelona of Spain) can turn the streets of Guayaquil into an all night party. Even on the other side of the country a game between the two teams can bring life to a standstill for 90 minutes. Las Peñas and Cerro Santa Ana - This colorfully painted neighborhood at one extremity of the Malecon 2000 is a great place to walk and people watch. At the end there is a lighthouse and a great view of the city. Be prepared to climb steps...there are over 400! Parque Historico - This complex contains a zoo, gardens and recreated historic buildings all in one spot. It's a good place to bring the family and enjoy an afternoon or an entire day. Parque de las Iguanas - A great place to see iguanas up close. There are lots of them...in the trees, under the park benches..make sure to bring your camera. Guayaquil Botanical Gardens - These gardens are home to hundreds of different plant species. A tranquil spot in the city. 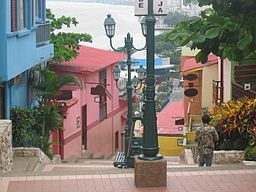 Most people who visit Guayaquil don't go just to see the city (unless there on business). The city's proximity to the Pacific Coast is the real draw. 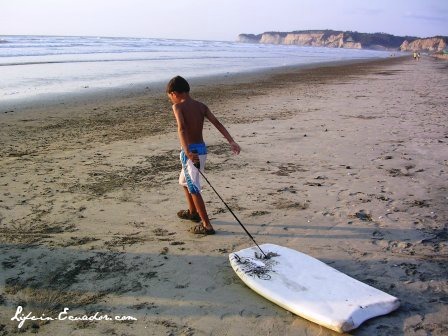 Salinas - One of the most popular beach resort towns in Ecuador. The town sits on a large bay, which makes for calm waters to swim in. It can get really crowded during Ecuadorian holidays. Olon - A small beach town north of Guayaquil that has a nice beach. Just make sure to shuffle your feet! Montañita - The surfing capital of Ecuador. This laid back, small town has grown in popularity over the last few years. It's a great place to relax or catch some waves. The Galapagos - Flights for the Galapagos leave daily from Guayaquil. And there are plenty of tour operators to choose from. Guayaquil Ecuador has worked hard to improve the safety of the city. However, you still should be cautious as you would in any big city around the world. Be careful when riding public buses. And avoid the bus system completely at night if possible. Use only registered taxi services found outside of malls and supermarkets. Avoid hailing a cab on the street. Look for designated stops. Taxi co-op should match the taxi stop.